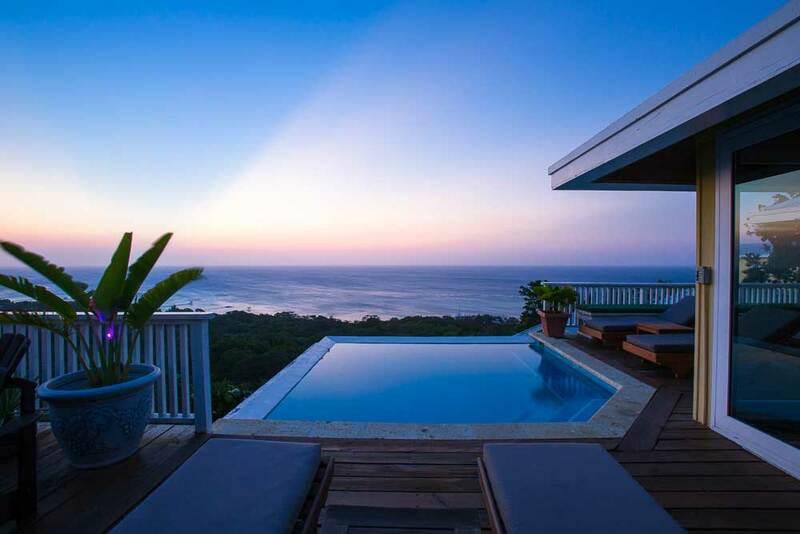 Privacy and casual comfort define this hillside home with an infinity edge pool overlooking turquoise waters. Lively West End Village is just a five minute drive. 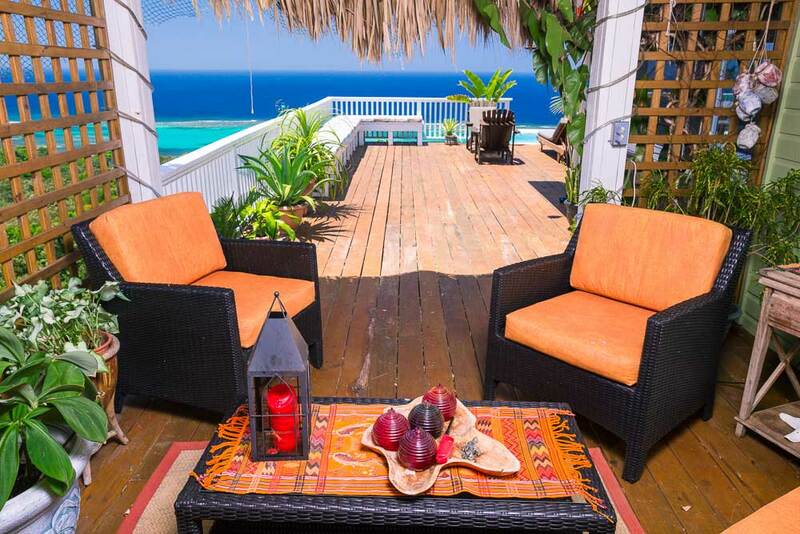 Spectacular sea views and cooling trade winds, conveniently located minutes to beach and activities. 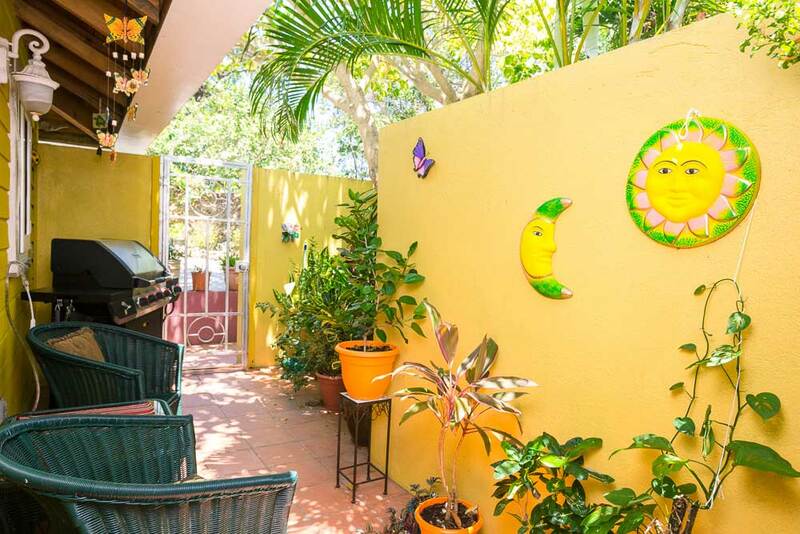 Designed for tropical living by award-winning Hal Sorrenti, this spacious open plan features a fully equipped kitchen, hardwood cabinets, concrete countertops, dishwasher. 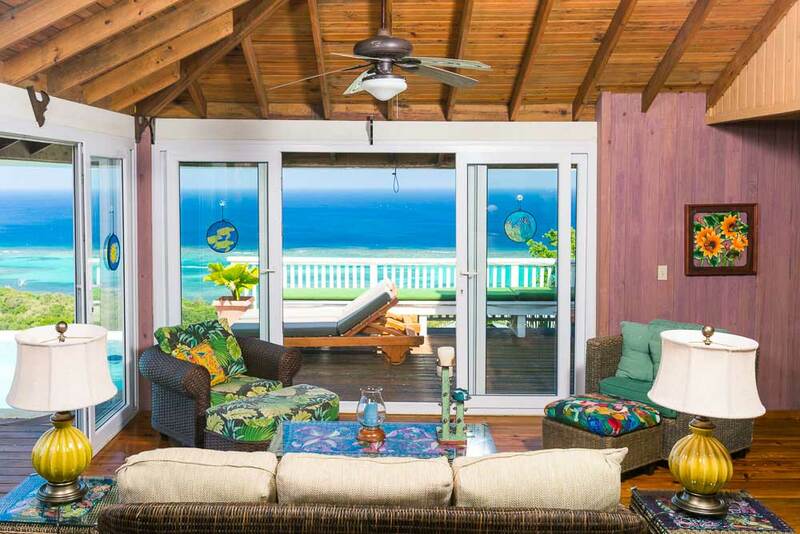 Comfortably furnished living room and dining room with walls of glass overlooking the Caribbean Sea. 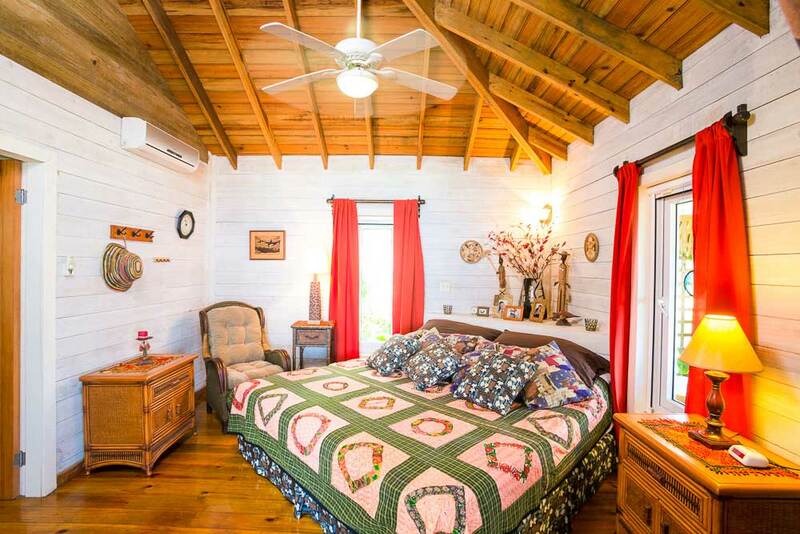 Master has king size bed and guest bedroom features a queen size bed, both have private bath and a/c. Bedrooms open to deck and pool area from opposite sides of the house providing both privacy and access to the common outdoor areas. 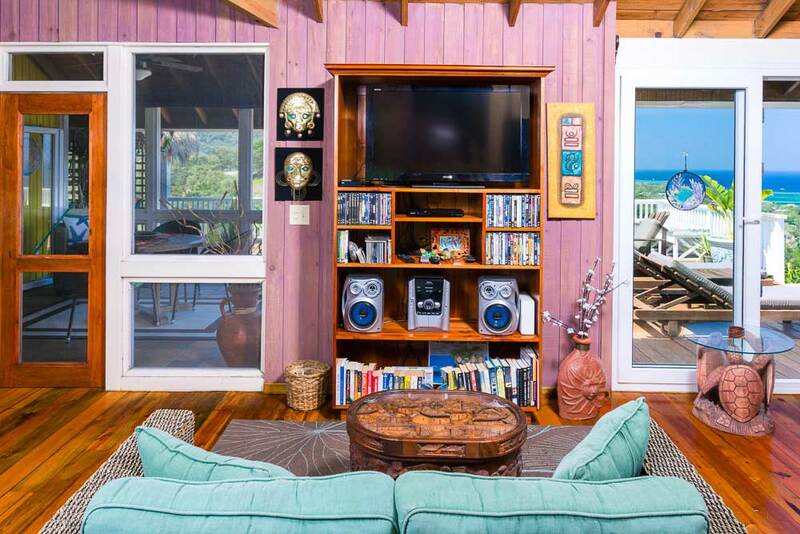 Second level tower combines as a private sitting room or third guest bedroom with two twin beds. 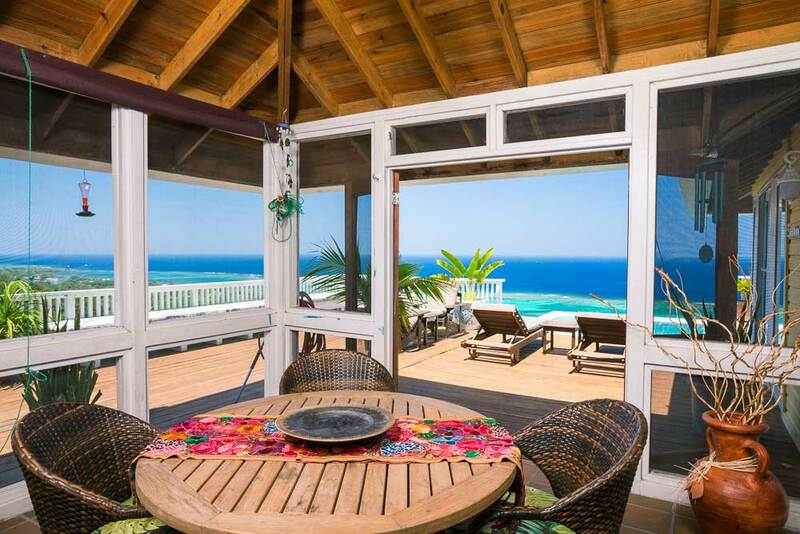 There is also a screened-in dining area where you can enjoy breakfast in the shade overlooking serene turquoise waters or sunset dinners. 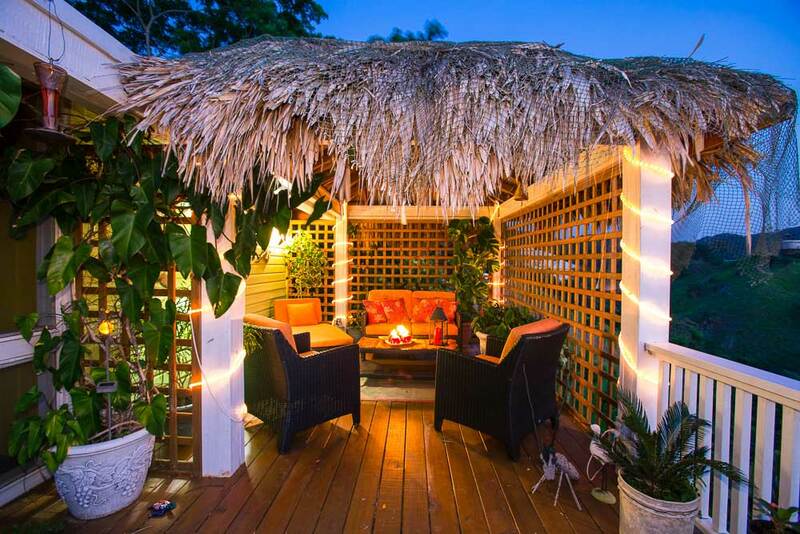 The spacious deck features a palapa with a comfortable sitting area adding to the outdoor living space. My wife and I spent ten fabulous nights here, and talked about our return before we even left. The house is warm and tastefully decorated. The kitchen is equipped with everything you need to prepare meals. Santos, the caretaker took great care of us...even brought corn from his garden! We rented the car and drove into West End every morning for some fabulous diving. The food and shopping in town is wonderful. If you enjoy diving/ snorkling, we highly recommend this place and look forward to next year! 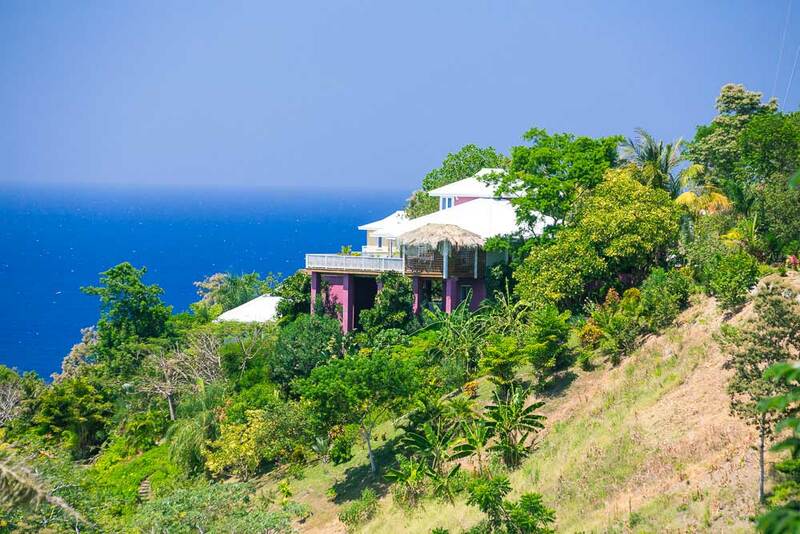 We just got back from a week in paradise staying in the Purple Palace house. Everything about this house was great. 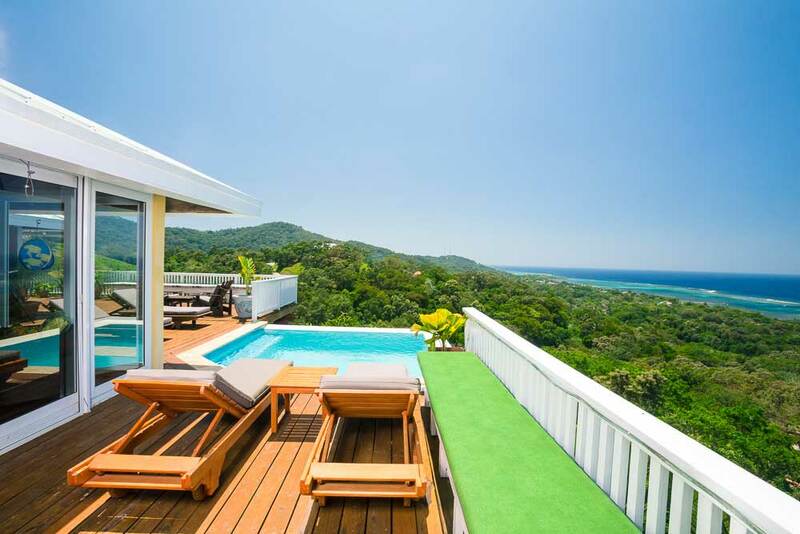 Privacy, the Views, the pool, the decor, even the little geckos running around. It was incredible. There were some little bugs, which are literally everywhere on the island, so expect that and don't fuss over it. Buy and liberally use a product called Cactus Juice. It works well at keeping bugs at bay, and smells good too. A lot better than deet or Off. Find it on Amazon prior to your trip. Definitely rent a car, either from the owners, or at the airport. Roatan has a lot to see, and the ability to just up and go is a bonus. The Sandy Bay area has a lot of nice restaurants and bars that take some looking to find. We just left from the Purple Palace. This house was perfect for my group. The pictures on this site are good, but it's even better in person. If you like a place away from all the cruise boat traffic this is the place for you. Everything about our stay was perfect. The manager, Stella, was extremely helpful with Roatan insight and thing to do. Everything was very professional and delivered as promised. The on site caretaker, Santo, is always available. What a nice guy. He serves as caretaker for the property and security. He brought us fresh green beans, peppers and Ayote from his garden he grows on one of the hillsides. I only wish he spoke more english because we all enjoyed his company. Everyone in my group happens to be animal people. Shortly after we arrived Daisy walked in the house. She's the dog that Santo takes care of but sort of comes with the house. She stayed with us every night and appreciated the left overs. She's very sweet. I hope others treat her like it's her home too. The house was perfect for our group of 4. Both bedrooms are great. The front bedroom has a fantastic view. 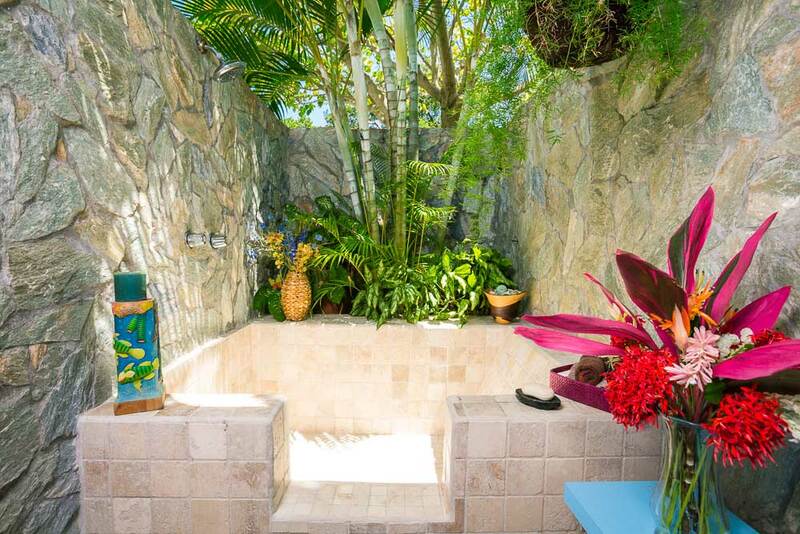 The master bedroom is great with an outdoor shower. The kitchen has much more than I ever expected. There was every spice/seasoning you could imagine and good cookware. We cooked just about every night we were there. I've rented a lot of homes on vrbo. This was the best kitchen of all. The outside grill was perfect for us too. There is an upstairs loft with two twin beds but we only went up there once to see it and that was it. All three sleeping areas are air conditioned. The Wi-Fi worked great all week at the house. No problems connecting and staying connected. We spend most of our time out on the deck with the pool. The view is incredible. The Purple Palace made my 50th Birthday one to remember. We just returned after 2 weeks at this property. 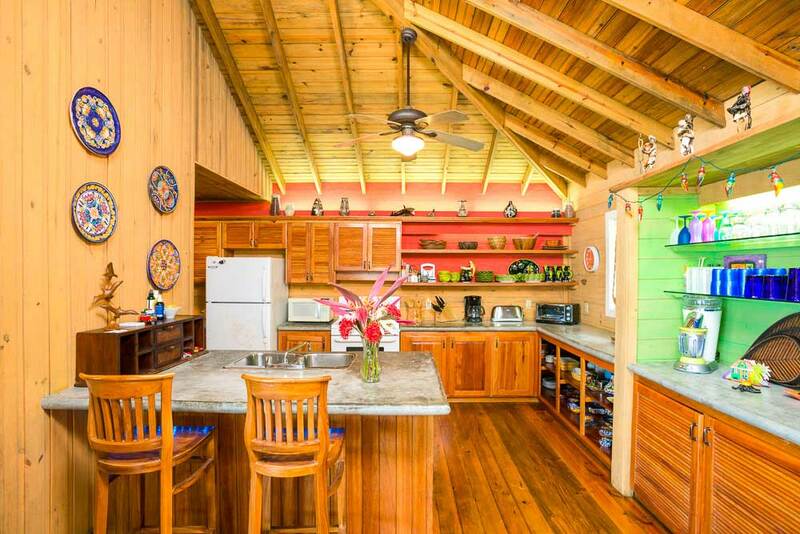 Like the previous reports state, this property is well stocked with everything you need to prepare your own meals - which we mostly did because it was just easier after happy hour in the pool lol. Purple Palace is very beautiful - what you see on line is exactly how it appears. We only used the master bedroom but you absolutely do need the air conditioning without a doubt. The power went out a couple of times (as is common in Central America) so bring a flashlight as there is no generator. There are lots of flashlights around the house as well although dim. Santos, the caretaker, truly made our stay even more enjoyable. He brought us beans and corn from his garden and even baked us a cake one day. Although my Spanish is limited, we were able to communicate quite well. Nice to see his smiling face all the time! You will want to rent the car from Purple Palace as it is about a 10 min drive to restaurants at West End and to the grocery store - make sure you go to Oasis Roatan for at least 1 or 2 dinners - unbelievable food. Cruise boats come in 4 days a week (Mon-Thur). With a car we were able to head to the east end of the island away from the cruisers and see some beautiful landscape - and then see the rest of the west end of the island when the cruisers left. Take the time to walk into Coxen Hole (park at Eldons-grocery store) but best to do this on a cruise day as a lot of the shops aren't open the other days we experienced. The Straw Market - nothing really there - very overrated. Be sure to go to La Sirena at Camp Bay - 1 hour or so car ride to east end of the island - and about 30 mins of that down a bumpy dirt road - but soooo worth it - great food, great rum punch - great view - a little shack right on the ocean. Groceries at Eldons or Plaza Mar - fresh stuff mostly Mon-Friday - buy fresh off the side of the road as well. So important - bring lots of repellant - lots of noseeums at dusk and dawn - we slept with repellant on and the netting but both still got chewed up - nothing to do with Purple Palace, everything to do with the Caribbean side. This is a dive/snorkel destination. 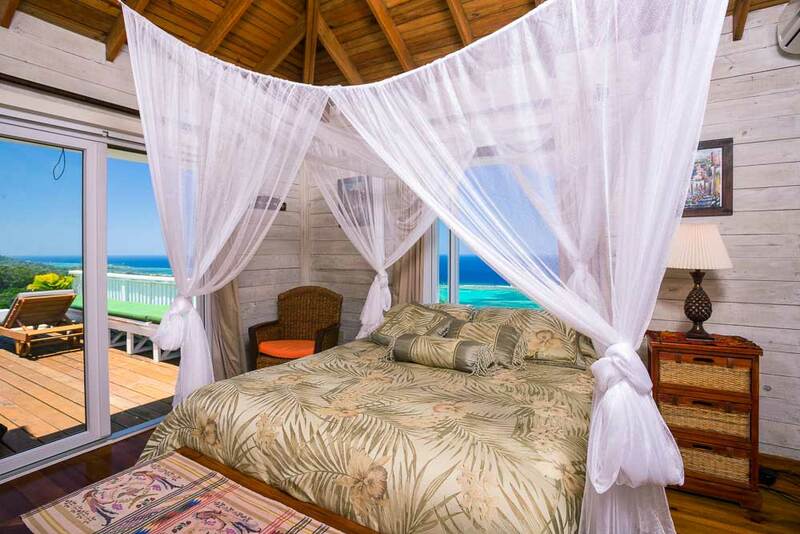 If you like to do that or lay on a beach, this is the place for you. If you want quiet, this is the place to be. Purple Palace is Exactly as Shown - Gorgeous! This house is high up with a view that can't be beat. 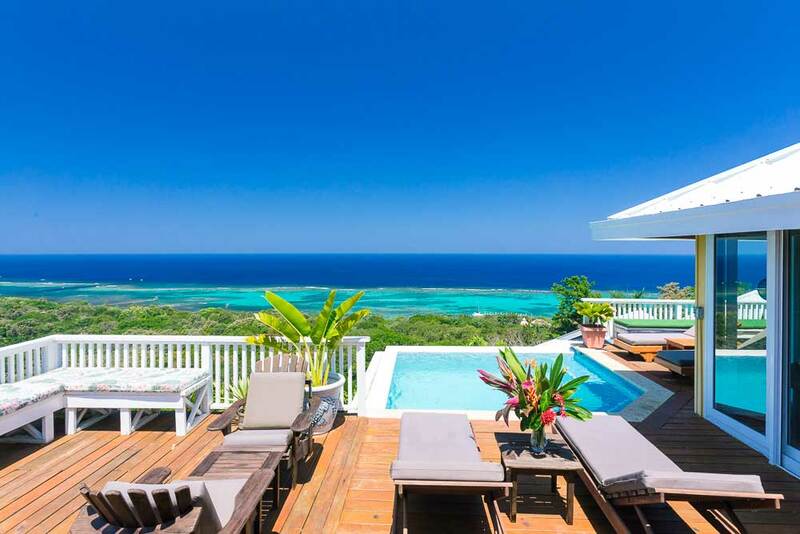 Swimming in the infinity pool and looking out to the green and blue Caribbean is just an awesome feeling. 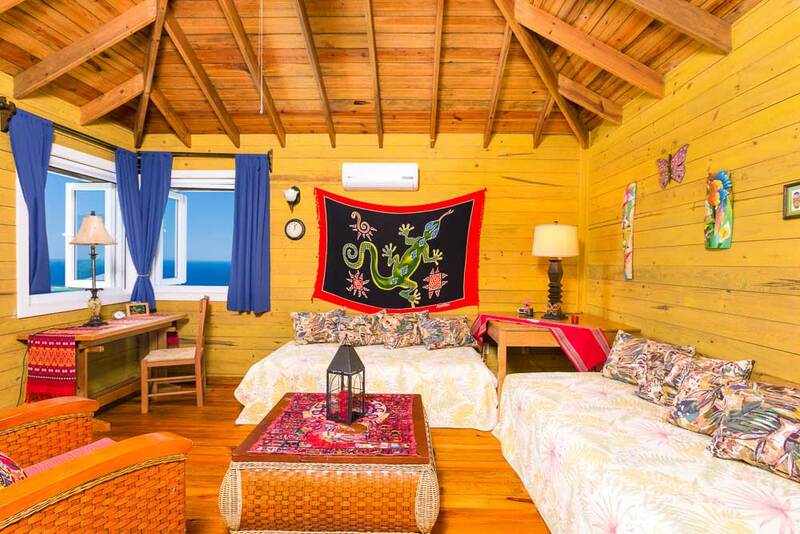 The location is a 5 minute drive to Coxen Hole and a 10 minute drive to West End Beach. 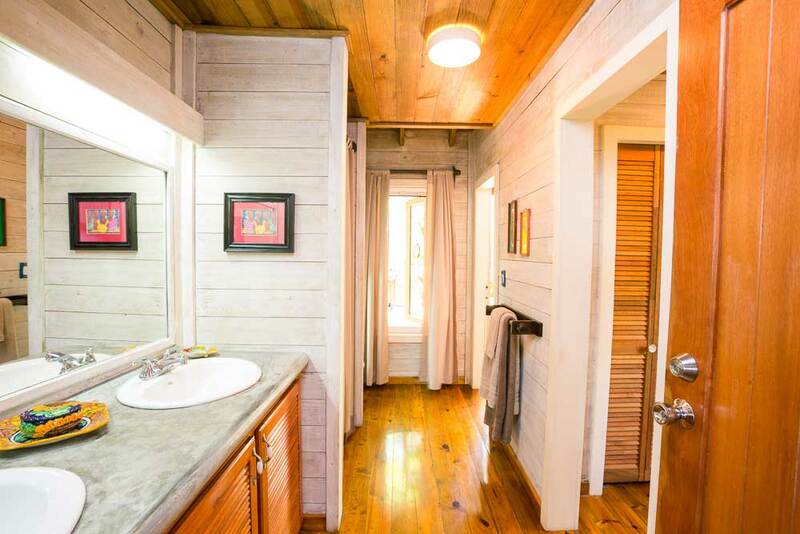 The house is very large and roomy and the two main bedrooms are at opposite ends of the house for privacy. 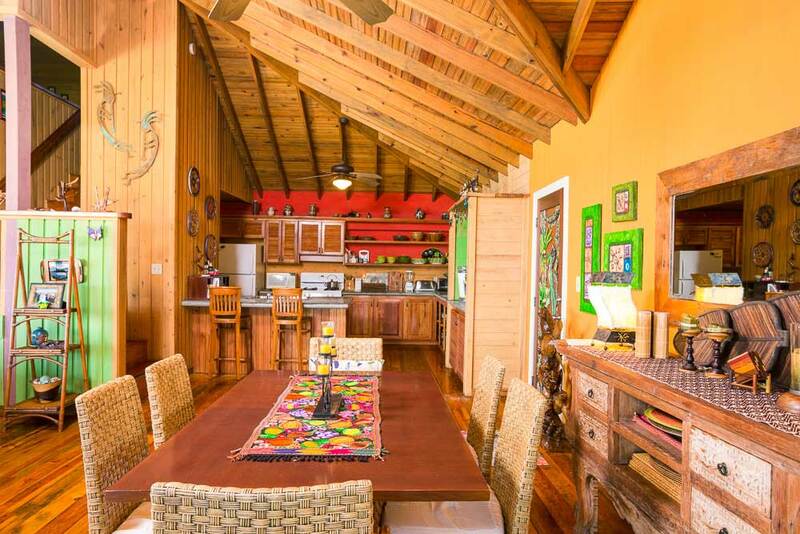 the loft is a great 3rd bedroom and very private. The house was clean and had such wonderful decor - so much of the beautiful mahogany carvings! Just lovely. The caretaker, Santos, is a lovely and helpful man who brought us fresh coconuts ready to drink! The house is very well stocked with everything you need - including a Margarita maker ;D. Grocery shopping is 5 minutes away but we chose to only eat breakfast at the house. Lunch and dinner were spent tasting the delicious local cuisine - the Hondurans can cook! Lobster Pot at the very end of West End Beach had the best food at really great prices. The meals come with a lime pie desert - homemade and semi frozen - delish! We were there in April and were so lucky - very few mosquitoes! What a blessing. 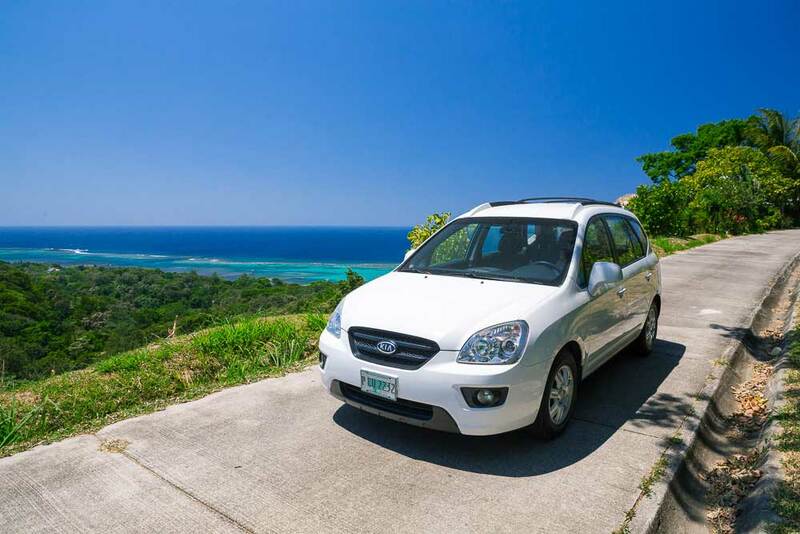 Definitely rent the car that comes with the property - it's worth it to drive around the island and see all the wonderful areas off the beaten path plus you wouldn't want to be calling a cab every time you want to go out - it would end up costing you too much. If you want to go shopping the best days are definitely cruise ship days (when the cruise ships are in). When we were there that was Tuesday to Thursday. That way you can be sure ALL of the stores are open and you can visit Mahogany Bay for the cruise ship shopping area. It's probably a bit more expensive there but all the shops are in one spot. We enjoyed stopping at the small little shops all over the island. Some of them had the best items that weren't found in the larger shops in Coxen Hole or French Harbour or West End Beach. The people of Roatan are so happy and helpful and wonderful. This was a wonderful and relaxing vacation - I would recommend Roatan and Purple Palace to anyone!